Lucky you. 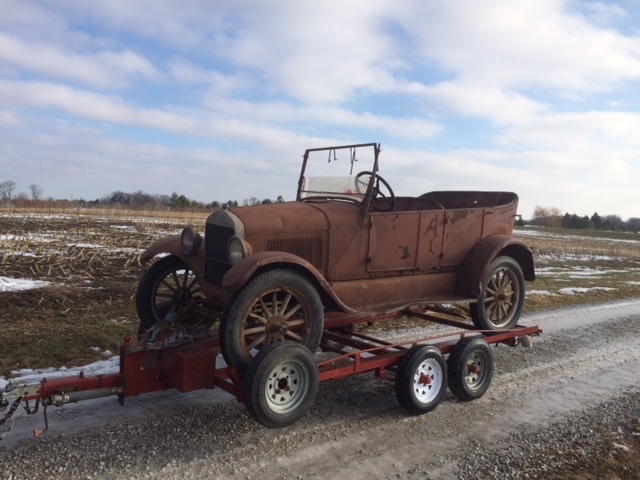 I used to think all the barn finds were in Califunny, but ever since joining the forum, the largest number seem to come from Visconsin or Menesota. Enjoy your find. Evidently, the WWII scrap drives passed up Wisconsin and Minnesota. Nope, the northern barn finds are all dried up. Best to keep looking in California and Texas. Hi Kent.....Some guys have all the luck! Congratulations. Oh, Eric. I bet you told me that to deter me from coming up next summer to look! 1. I'm interested in seeing what the material is around the hole for the seditmate bowl. - also How is it attached? 2. Is there a gasket around the steering column to dash area? If so what does it look like? 3. Firewall gasket - how is it attached all the way down? 4. Photo of how the taillight is bolted on, what style of bolts? 5. Is there any gasket left on the top saddle rod holes? That should keep you working all winter and have a good restored running car by summer touring season! I got one similar, but all disassembled back in 1992. Finally got it running by 2003. Didn't run very well but looked good. 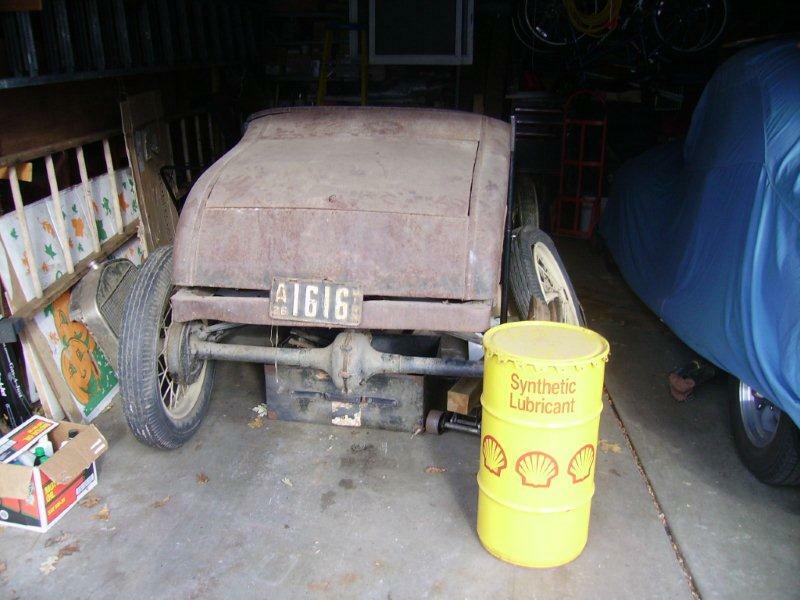 Then last summer 2014, I rebuilt the engine and now runs great. So it only took 22 years to get it running well and looking good! Hey! Its good to know real barn finds are still out there. Looks like a good T that hasn't been restored. 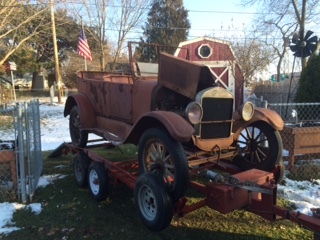 A real deal barn find for sure. Lucky you! Seriously Terry, you've got Eric pegged. He really isn't telling it like it is. 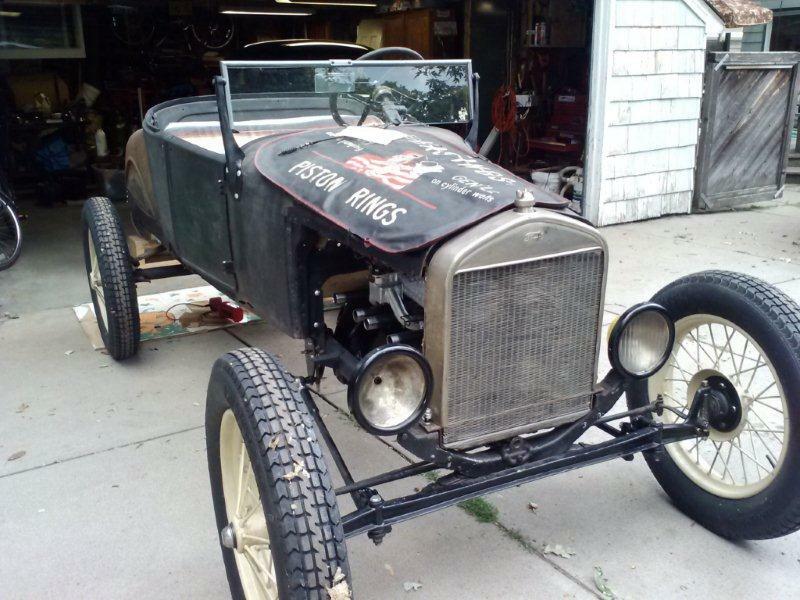 every barn in Minnesota has at least 2 old Model T Fords in it. Most of these ignorant old farmers are asking less than $150.00 apiece. 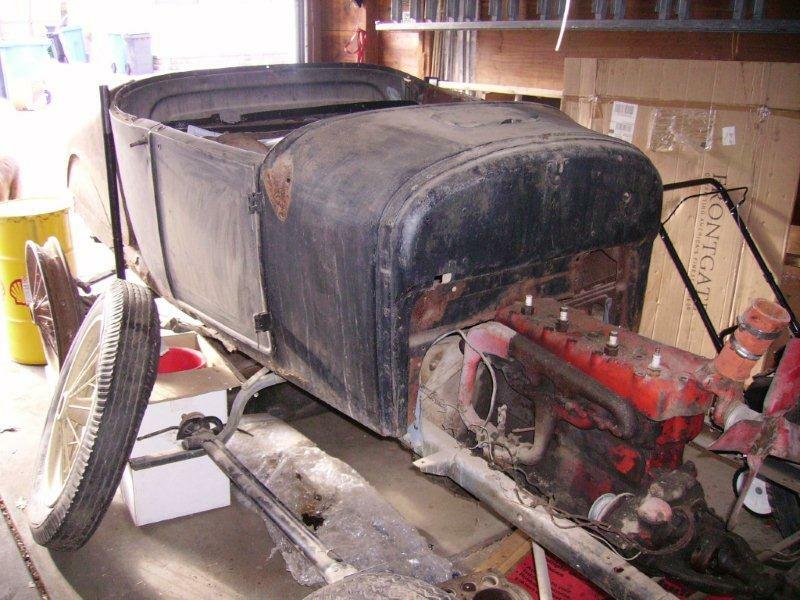 And honest to God, Wisconsin has even more Model T's in its barns and you seldom pay more than $100.00 apiece. REALLY!!! Mike - Ya, you keep thinking that........ and by the way, please send detailed directions to help find them!!! Only to you Keith. I think it's imperative we protect our stash. In Minnesota of course! Found in Minnesota 2 years ago, even came with a title although the block # and frame # don't match the title. My first Model T.
And what it looks like so far. 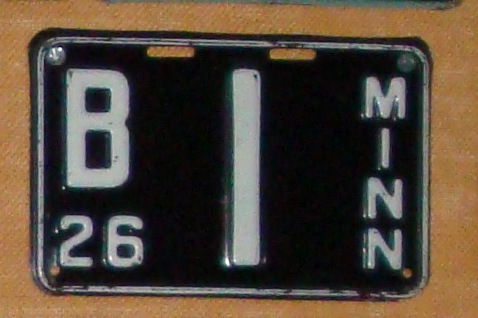 That's a nice short 1926 Minnesota A plate - catchy number 1616. What are the plans for the engine? Is it an old cast intake manifold for a downdraft carb there? Kent, Have you determined if it is a early 26 or late one. Some things that may help our studies of the improved models are. Engine number and is there a number on top of the frame at the hand brake cross shaft area. It could be on either side. Does the windshield post have a "notch" on the rear side above the mounting bolt, or do both sides (front and rear of same post) look similar. Is rear axle plug a hex head or a "square drive" type. Are the headlights "stem/footed type mounts" or mounted with a nut and bolt to a headlight bar. Are there four small rivets in the front of the firewall to mount the gas tank pad or no rivets. Kent Don't you just hate it when they look at you with those sad model t headlights and beg you to take them home? Are those new tires? I don't recognize the tread pattern. Excelsior Competition V Racing tires from Coker. 5. 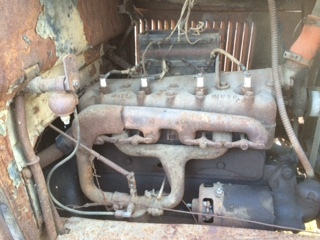 Is there any gasket left on the top saddle rod holes? no its gone. ok guys the engine number shows march 1926. so that means if the 26's came out in late august 1925 mine would be about mid way thorough the 26 production. I know this car was not molested since 1958 so what do I have here early or later characteristics.